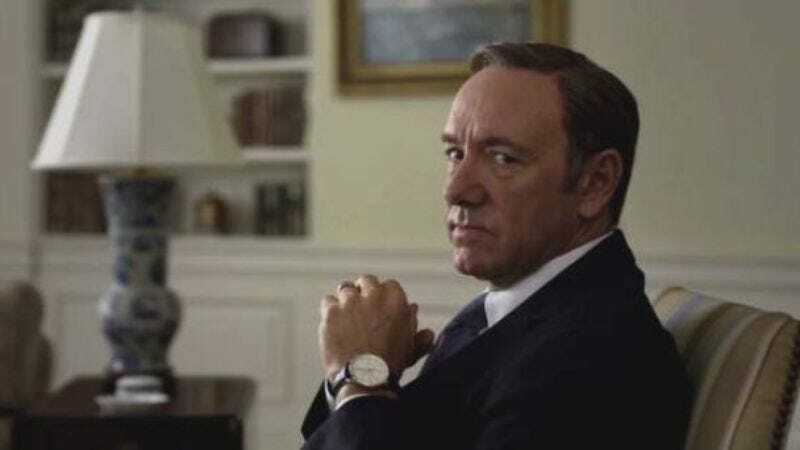 By now, surely everyone has finished binge-watching the third season of Netflix’s House Of Cards, and much like Doug Stamper’s increasingly disconcerting obsession with Frank Underwood, a lot of people out there are probably going through Kevin Spacey withdrawals. Luckily, CNN has come up with a way to keep Kevin Spacey on our various screens, and it doesn’t even involve watching K-Pax again. Instead, Spacey will narrate Race For The White House, a six-part documentary series that will follow six different presidential campaigns as they try to beat each other, Cannonball Run-style, to the eponymous White House. Weirdly, though, we don’t know which campaigns CNN will cover—and we’re not sure it knows either—which means the network might have to leave out an interesting story or, even worse, include one (or two, or five, or six) that nobody cares about. And that brings us to another weird thing: Does anyone really want more coverage of the presidential campaigns? They’re barely getting started and we’re already sick of it. Can we go back to talking about Star Wars rumors? Here, let’s just start a new one, and then everyone can talk about that instead of whoever is running for president. According to anonymous sources close to the project, Andy Serkis is playing the son of Modal Nodes frontman Figrin D’an in The Force Awakens. Serkis won’t be a computer-generated creature, though, he’ll just be wearing a mask the whole time. Also, the bulk of the movie’s plot actually focuses on his struggle to write a song that lives up to his father’s hit “Mad About Me.” Oh, and Race For The White House will air on CNN in 2016.